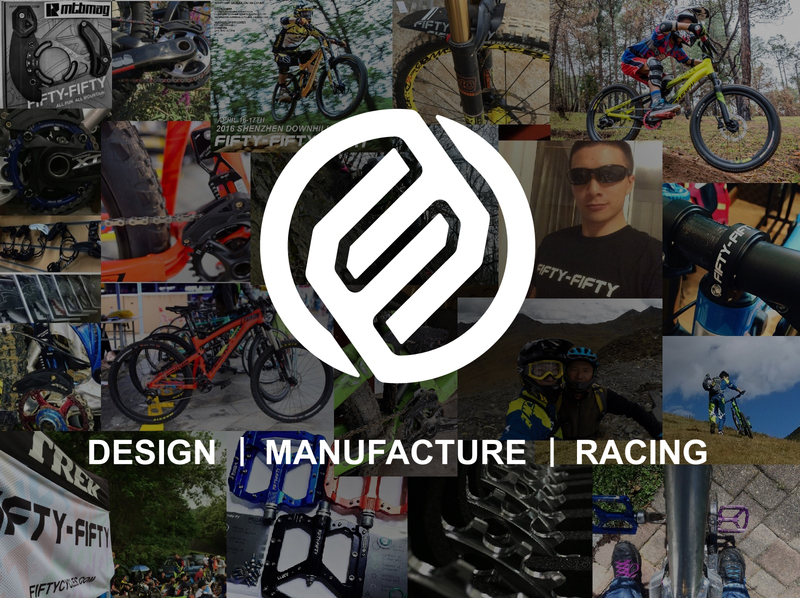 FIFTY-FIFTY was founded by 3 MTBers in 2012, who are specialized in machinery and industrial design. We mainly design and manufacture mountain bike components including 6 series of products, total 80 items at the present stage. Our products win the favor of consumers by high quality, high durability and good after market service. We sponsored racers all around the world to racing Downhill, 4x and Enduro. We combine thoughtfully engineered with world-wide athlete feedback to provide our customers with leading-edge performance cycling components.